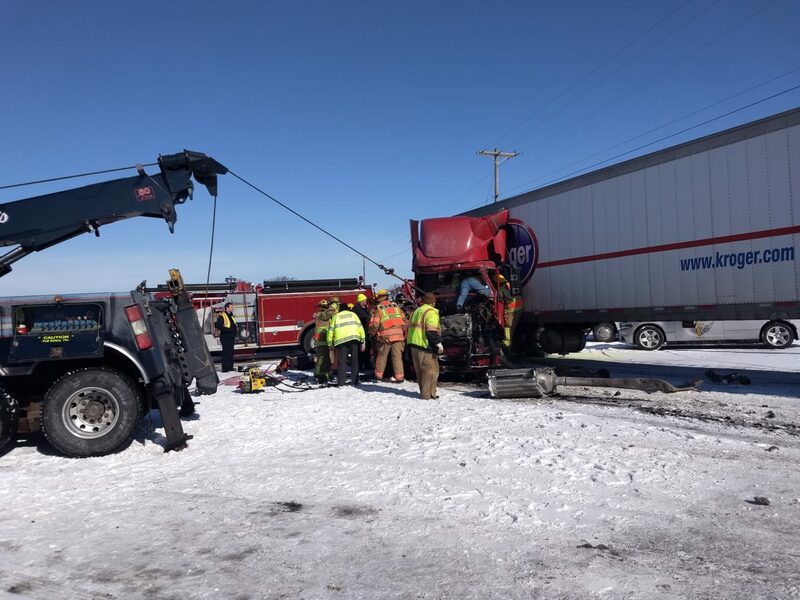 A person was rescued from a semi involved in an accident at US 224 and US 23. The other semi involved rolled. Life Flight landed at the scene. About 150 American Electric Power customers are without power in the area of US 224 and US 23. A crew is working at the scene of the accident. AEP is estimating restoration at 2 p.m.